2016 is over. Done. History. Whatever kind of year you had, it doesn’t matter; it’s in the past. Now that we’ve got a fresh start, it’s important we don’t waste any time. If this year is going to be really top-notch, the time to start is now. The first step toward a great year is, of course, getting organized. What would any triumphant story be without an inspirational training montage set to cheesy ‘80s music? That’s where we come in. As professional storers (storists? ), we’re pretty good at organizing. That’s why we’ve put together this list of a few of the best ways you can get on track to have a great year today (we’ll even provide the cheesy ‘80s music)! As a place you probably spend a good chunk of time in every day, your kitchen is a great place to start getting organized. First, open up your pantry. Check on anything that could expire or get nasty. How old is that cereal? Who left those noodles open? Does anyone in your house even eat oatmeal? You’d be surprised how much stuff can be cleaned out, even if you go through a lot of food. After you’ve cleared the pantry, wipe it down to remove crumbs and other food debris. After the pantry, move on to the cupboards, the fridge, the freezer, and anywhere else you keep food. When you’re done clearing and cleaning, take a look at what you removed. Are you buying anything you never eat? Are you buying too much of something? Taking a quick inventory of your foodstuffs is a great way to feel organized, and you can even save a surprising amount of money just by cutting down on buying food you don’t eat anyway! It doesn’t have to be a “drawer” per se; everybody has some kind of “junk drawer.” Maybe it’s a shelf in your basement, a cupboard under the sink, or even the floor of your closet. A place where all the clutter of life just sort of… squats. There are Christmas cards, used-up pens, a billion paper clips for some reason, like a pound and a half of glitter… you get the idea. 2017 is the time. Roll into each of the places like a no-nonsense, Wild West sheriff and round that junk up. You’d be surprised at just how satisfying this can be, and you’ll feel a lot better after that stuff is dealt with. For bonus good vibes, make another list! This time, list the sort of thing you usually keep in the junk “drawer.” See if you really need that stuff, and where you could keep it organized in the future. Definitely do this if your junk drawer has knives in it. Seriously. People have junk drawers with knives. It’s a bad idea. Depending on how bad the problem is, this could overlap with our junk drawer tip. Clutter tends to accumulate on countertops pretty fast. Once the clutter gets bad enough, it can generate that kind of sneaky psychic stress that you don’t even notice. Especially if you have bills or sternly-worded reminders sitting around. Seriously, even if you feel like your countertop isn’t unnecessarily cluttered, take some time to organize it anyway. Clear it off, wipe it down, and find a more appropriate home for all the stuff you left out. You might be surprised how relieved you are when your surfaces are suddenly available for use. Just be sure not to scoop everything up and toss it somewhere else. There’s nothing wrong with leaving some stuff on a countertop if you want it there; just be honest. You don’t *really* need that book of pizza coupons from 2011, do you? That place closed three years ago. This one is huge. Everyone has some clothes in their closet that they wouldn’t wear out in public for a thousand bucks. Maybe an ill-advised foray into jazzercize left you with a couple more full-spandex outfits than you need. Maybe the powder blue tuxedo you wore to prom isn’t ever going to come back into style. 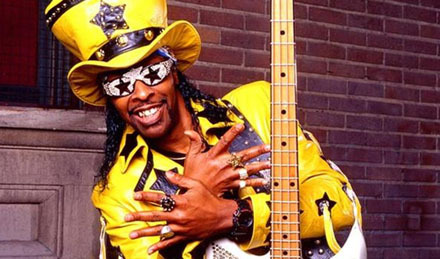 Maybe you’re too afraid to find out if you still fit into your exact replica of Bootsy’s iconic jumpsuit. No? Just us? Well. Anyway. There’s no point being sentimental about clothing you’re really never going to wear again. Look through your closets and be honest about what you want to wear or don’t. Don’t beat yourself up, either; literally everyone has closets full of clothes they don’t want. Whether they’re too big, too small, too plain, or too flashy, don’t look back–think about the great new clothes you can buy to replace them! You can free up a surprising amount of space by discarding the clothes you don’t wear, and you’ll also cross off another one of those niggling projects you’ve been meaning to get to. 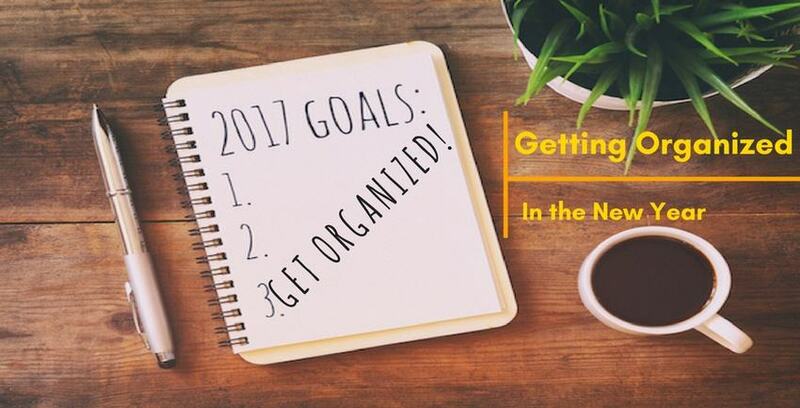 Organizing early in the year is one of the best ways you can prepare to accomplish your goals. Once you feel like you’ve covered all the bases that slip through the cracks during your busy day-to-day, you’ll be ready to start tackling the big stuff. 2017 is going to be a great year because you’re going to make it a great year. If you really want to get off on the right foot, keep an eye out for even more New Year’s Resolution organizational tips coming later this month. And remember, if you need a place to keep some extra stuff in the meantime, we’ve got your back whatever your needs may be.